Though the racial components and familiar arc of the plot are problematic, they don’t erase the obvious talent of writer and director Geremy Jasper. Patti Cake$ is a feel-good misfit tale, a kind of Napoleon Dynamite crossed with Little Miss Sunshine by way of 8 Mile. It’s a particular success for breakout star Danielle Macdonald and debut writer-director Geremy Jasper. It’s also a showcase for noteworthy supporting talent, particularly newcomer Siddharth Dhananjay as Patti’s friend Jheri, frequent Amy Schumer collaborator Bridget Everett as Patti’s mom and Cathy Moriarty as Patti’s wheelchair-bound grandmother. While it’s gratifying to see a story of an underdog from an economically repressed area overcoming significant odds, it’s unclear if a white woman breaking into the rap world is really a story that needs to be told at the moment. And even if it is, Patti’s ascent unfortunately follows a familiar path towards cinematic musical success. Any Stephanie Plum fan can tell you that a story about a Jersey girl breaking the rules with her poorly behaved grandmother at her side is destined for success. 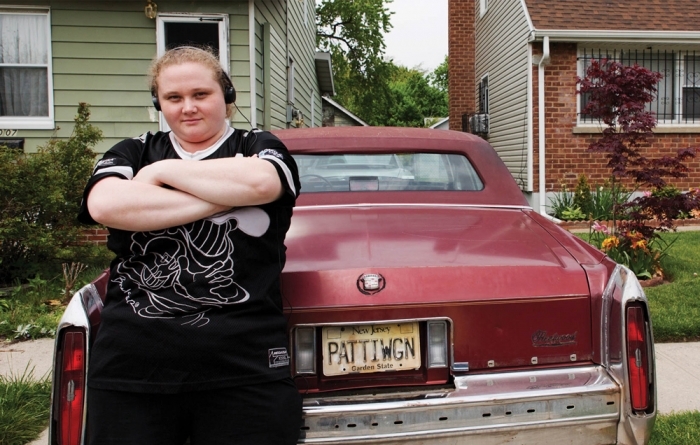 And on that front, Patti Cake$ succeeds. Australian actress Macdonald is infectious and supremely gifted as the New Jersey born-and-raised Patricia Dombrowski. She perfectly embodies that stereotypical blend of trashiness and charm that Jersey-dwellers have been saddled with, but she softens that image with a sensitive, bruised heart hidden under her tough exterior. And then there are her rapping skills, which should be enough to kick Iggy Azalea even further into the pasture. Patti Cake$ follows its protagonist as she collects unusual allies on her way to achieving rap success. Jasper does well to put Patti in an economically and racially diverse environment; however, this also makes the film’s central problem all the more glaring. As compelling as Patti is, and as moving as underdog tales can be, the fact that such a plum aspiring rapper role went to a white woman is rather egregious. This problem only grows as Patti Cake$ becomes more and more reminiscent of the numerous films about white women achieving musical success. A story that starts out with a unique, lovable, heavyset singer dreaming of rap success ends up feeling derivative. Patti Cake$ drifts away from its quirky film forebears and takes on the trappings of conventional musical films like Coyote Ugly and Sing. Though Patti Cake$ ends up disappointing in that sense, the technical credits of the film are top notch. Cinematographer Federico Cesca does much more with musical performances and action-heavy close-ups than his more seasoned peers, and the editing, courtesy of Brad Turner (Goat), makes the film feel like a true narrative rather than a collection of music videos. In the end, the significant assets of Patti Cake$ overtake the film’s shortcomings. Macdonald gives a performance that is both emotionally and musically powerful, and she’s bolstered by an effective supporting cast. And though the racial components and familiar arc of the plot are problematic, they don’t erase the obvious talent of writer and director Geremy Jasper.